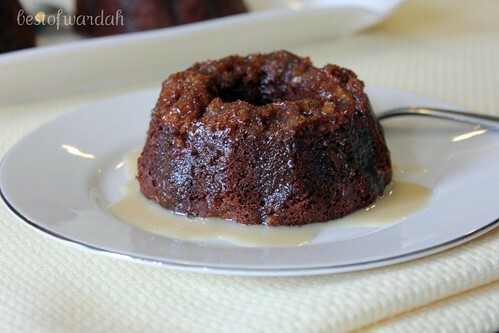 I'm finally back with a new post, and this time it's a recipe! I've been wanting to do something special for my mom as a little way to appreciate everything she does for me. 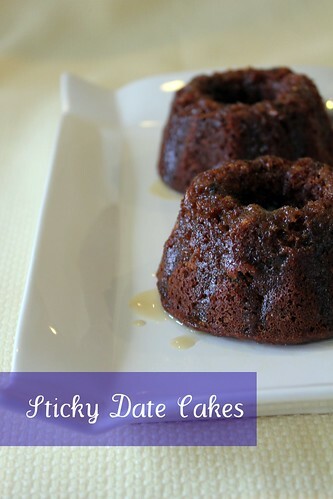 When I came across this recipe for sticky date cakes, I knew it was the perfect way to do just that. 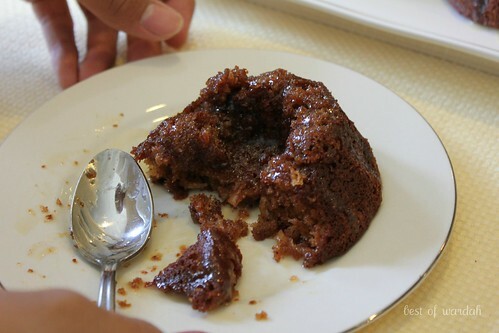 My mom loves dates, honey, and coconuts, and this recipe has an abundance of all three. So sit tight and I'll take you through the recipe. Step 1: Preheat the oven to 350 degrees. Then, mix two tablespoons of brown sugar and two tablespoons of shredded coconut and spoon it evenly into six small baking bowls. Step 2: Sift the flours and baking soda together. 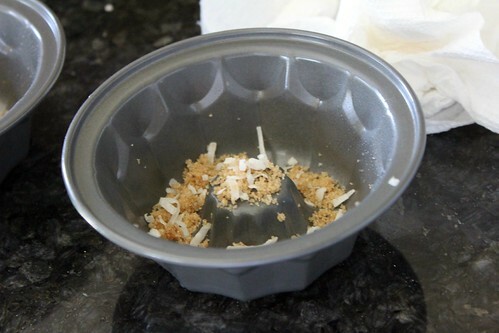 Mix the rest of the shredded coconut in too. 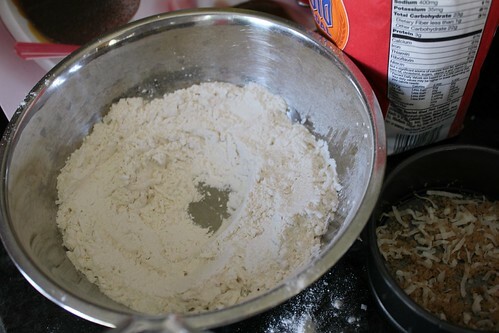 Make a well in the center of the flour mixture for the wet ingredients. 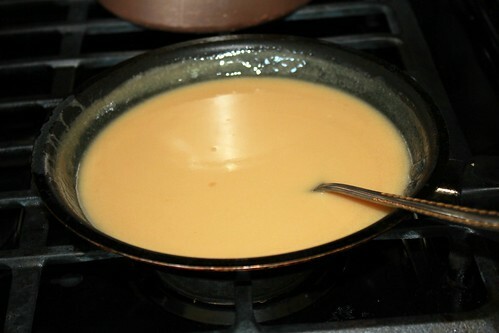 Step 3: Meanwhile, stir the rest of the brown sugar, butter, honey, orange juice, and chopped dates in a saucepan over low heat until the butter and sugar have dissolved. 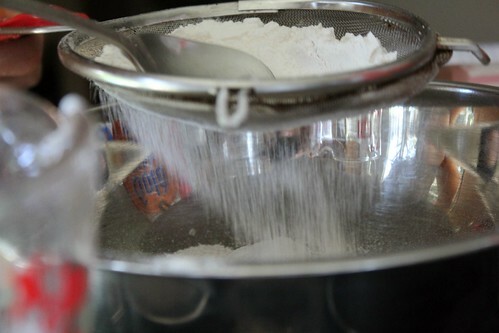 Step 4: Fold the mixture into the flour until smooth. It looks kind of unappetizing at this stage but don't worry -- we're not done yet. Stir in the eggs. 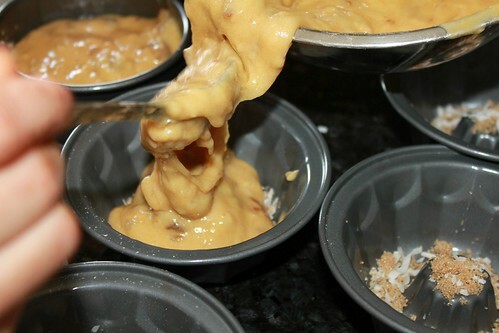 Step 5: Spoon the mixture into the little bowls and pop them into the oven for 35 minutes or until a toothpick poked through the center comes out clean. 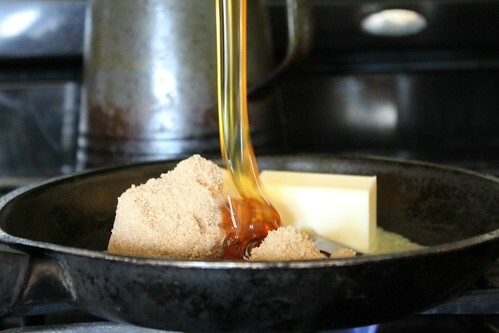 Stir all the ingredients in a saucepan on low heat until the butter and sugar has dissolved. 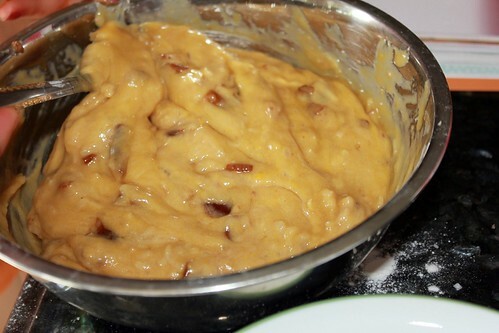 Stir for another two minutes and then, serve on warm cakes. Looks yummy! I would like to try this sometime.